Head and neck surgery, cancer cell biology. 2010 “America’s Top Physicians”, Consumers’ Research Council of America & SLD Industries, Inc.
Cheraghlou S, Kuo P, Otremba MD, Mehra S, Yarbrough WG,Judson BL. Extracapsular extension is not a significant prognostic indicator in non-squamous cancers of the major salivary glands. Cancers of the Head and Neck, 2018. Published July 3, 2018. Cheraghlou S, Kuo P, Mehra S, Yarbrough WG, Judson BL. Untreated oral cavity cancer: Long-term survival and factors associated with treatment refusal. Laryngoscope. March 2018. doi: 10.1002/lary.26809. Cheraghlou S, Kuo P, Mehra S, Agogo, G, Bhatia A, Husain ZA, Yarbrough WG,Burtness, BA, Judson BL. Adjuvant therapy in major salivary gland cancers: Analysis of 8580 patients in the National Cancer Database. Head and Neck, 2018. PMID: 29756412 DOI: 10.1002/hed.24984. Cheraghlou S, Yu PK, Otremba MD, Park HS, Bhatia A, Zogg CK, Mehra S, Yarbrough WG, Judson BL. Treatment deintensification in human papillomavirus-positive oropharynx cancer: Outcomes from the National Cancer Data Base. Cancer. December 2017. doi: 10.1002/cncr.31104. Cheraghlou S, Kuo P, Mehra S, Yarbrough WG, Judson BL. Salvage Surgery after Radiation Failure in T1/T2 Larynx Cancer: Outcomes following Total versus Conservation Surgery. Otolaryngology Head Neck Surgery. December 2017. 194599817742596. doi: 10.1177/0194599817742596. Bledsoe TJ, Park HS, Stahl JM, Yarbrough WG, Burtness BA, Decker RH, Husain ZA. Response. Journal of National Cancer Institute. November 2017. doi: 10.1093/jnci/djx230. Bledsoe TJ, Park HS, Stahl JM, Yarbrough WG, Burtness BA, Decker RH, Husain ZA. Hypofractionated Radiotherapy for Patients with Early-Stage Glottic Cancer: Patterns of Care and Survival. Journal of National Cancer Institute, October 2017. 109(10). doi: 10.1093/jnci/djx042. Issaeva N, Burtness B, Yarbrough WG. TRAF3 and CYLD Gene Defects in HPV-Associated Head and Neck Cancer: Biomarker of Response and Indicator of Targets for New Therapies. Journal of Cancer Clinical Trials. October 2017. J Cancer Clin Trials 3: 1000142. Panaccione A, Zhang Y, Ryan M, Moskaluk CA, Anderson KS, Yarbrough WG*, Ivanov SV. MYB fusions and CD markers as tools for authentication and purification of cancer stem cells from salivary adenoid cystic carcinoma. Stem Cell Research, May 2017, 21:160-166. Wamsley JJ, Gary C, Biktasova A, Hajek M, Bellinger G, Virk R, Issaeva N, Yarbrough WG*. Loss of LZAP inactivates p53 and regulates sensitivity of cells to DNA damage in a p53-dependent manner. Oncogenesis, April 2017, 6(4): e314. Fujiwara RJ, Judson BL, Yarbrough WG, Husain Z, Mehra S. Treatment delays in oral cavity squamous cell carcinoma and association with survival. Head Neck, April 2017, 39(4):639-646. Panaccione, Y. Zhang, Y. Mi, Y. Mitani, G. Yan, M.L. Prasad, W.H. McDonald, A.K. El-Naggar, W.G. Yarbrough*, S.V. Ivanov. Chromosomal abnormalities and molecular landscape of metastasizing mucinous salivary adenocarcinoma. Oral Oncology, March 2017, 66:38-45. Bauman JE, Duvvuri U, Gooding WE, Rath TJ, Gross ND, Song J, Jimeno A, Yarbrough WG, Johnson FM, Wang L, Chiosea S, Sen M, Kass J, Johnson JT, Ferris RL, Kim S, Hirsch FR, Ellison K, Flaherty JT, Mills GB, Grandis JR. Randomized, placebo-controlled window trial of EGFR, Src, or combined blockade in head and neck cancer. JCI Insight, March 2017,2(6): e90449. Wamsley J. J., C. Gary, A. Biktasova, M. Hajek, G. Bellinger, R. Virk, N. Issaeva, and G. Yarbrough*. Loss of LZAP Inactivates p53 and Regulates Sensitivity of Cells to DNA Damage in a p53-dependent Manner. Oncogenesis, February 2017, 6(4):e314. Lee N.C., J.R Kelly., H.S. Park, G. Yarbrough, B.A. Burtness, and Z.A. Husain. The risk of level IB nodal involvement in oropharynx cancer: guidance for submandibular gland sparing irradiation. Practical Radiation Oncology, February 2017, pii: S1879-8500(17)30047-4. Wamsley J., N. Issaeva, H. An, X. Lu, L. Donehower & G. Yarbrough*. LZAP is a novel Wip1 binding partner and positive regulator of its phosphatase activity in vitro. Cell Cycle, 2017 Jan 17; 16(2):213-223. R. Kelly, H.S. Park, Y. An, J.N. Contessa, W.G. Yarbrough, B. A. Burtness, R. Decker, Z. Husain. Comparison of Survival Outcomes Among Human Papillomavirus–Negative cT1-2 N1-2b Patients with Oropharyngeal Squamous Cell Cancer Treated with Upfront Surgery vs Definitive Chemoradiation Therapy. JAMA Oncology,January 2017. doi:10.1001/jamaoncol.2016.5769. Tan, L. Song, M. Graham, A. Schettino, D. Navaratnam, W.G. Yarbrough, J. Santos-Sacchi, and A.V., Ivanova. Novel role of the mitochondrial protein Fus1 in protection from premature hearing loss via regulation of oxidative stress and nutrient and energy sensing. Antioxidants & Redox Signaling. January 2017. doi:10.1089/ars.2016.6851. Panaccione, Y. Guo, W.G. Yarbrough, S.V. Ivanov. Expression Profiling of Clinical Specimens Supports the Existence of Neural Progenitor-Like Stem Cells in Basal Breast Cancers. Clinical Breast Cancer, January 2017, (4):298-306.e7. Hajek, A. Sewell, S. Kaech, B. Burtness, W.G. Yarbrough*,N. Issaeva. TRAF3/CYLD Mutations Identify a Distinct Subset of Human Papilloma Virus-Associated Head and Neck Squamous Cell Carcinoma. Cancer, January 2017, 123(10):1778-1790. An, Y., Park, H., Kelly, J.,Stahl, J.,G. Yarbrough,Burtness, B.A., Contessa, J., Decker, R., Koshy, M., Husain, Z.A. The Prognostic Value of Extranodal Extension in Human Papilloma Virus-associated Oropharyngeal Squamous Cell Carcinoma. Cancer2017, 123(14):2762-2772. Fujiwara, RJT, Husain ZA, Burtness BA, Judson BL, Bhatia A, Sasaki CT, Yarbrough WG, Mehra S. Treatment guidelines and patterns of care in oral cavity squamous cell carcinoma: primary surgical resection vs. nonsurgical treatment. Oral Oncology, 2017, 71:129-137. Husain ZA, Chen T, Corso CD, Wang Z, Park H, Judson B, Yarbrough WG, Deshpande H, Mehra S, Kuo P, Decker RH, Burtness BA. A Comparison of Prognostic Ability of Staging Systems for Human Papillomavirus-Related Oropharyngeal Squamous Cell Carcinoma. JAMA Oncol, 2017, 3(3):358-365. Brandt, S., Simonik, E.A., Cai, Y., Kimmelshue, K.N., Brantley, D., Loomans, H.A., Andl, C., Westlake, G., Youngblood, V.M., Chen, J., G. Yarbrough, Brown, B.T. LIM-Only Protein 4 (LMO4) and LIM Domain Binding Protein 1 (LDB1) Promote Growth and Metastasis of Human Head and Neck Cancer (LMO4 and LDB1 in Head and Neck Cancer)PLOS One, 2016 Oct 25, 11(10): e0164804. Yarbrough, W.G., A.Panaccione, M.T. Chang, S. Ivanov. Clinical and Molecular Insights Into Adenoid Cystic Carcinoma: Neural Crest-Like Stemness as a Target. Laryngoscope Investigative Otolaryngology; 60-77, August 2016. Kuo, P., Sosa, J.A., Burtness, B.A., Husain, Z.A., Mehra, S., Roman, S.A.,G. Yarbrough, Judson, B.L. Treatment Trends and Survival Effects of Chemotherapy for Hypopharyngeal cancer: Analysis of the National Cancer database. Cancer 2016, 122(12):1853-60. Panaccione A., M.T. Chang, B.E. Carbone, Y. Guo, C.A. Moskaluk, R.K. Virk, L. Chiriboga, M.L. Prasad, B. Judson, S. Mehra, G. Yarbrough*,S.V. Ivanov. NOTCH1 and SOX10 are Essential for Proliferation and Radiation Resistance of Cancer Stem-Like Cells in Adenoid Cystic Carcinoma. Clinical Cancer Research 2016, 22(8):2083-95. Gary, C., Hajek, M., Biktasova, A., Bellinger, G., G. Yarbrough, Issaeva, N. Selective Antitumor Activity of Roscovitine in Head and Neck Cancer. Oncotarget 2016,7(25):38598-38611. Schwam Z.G., Burtness B,Yarbrough G., Mehra S., Husain Z., Judson B.L.National treatment patterns in patients presenting with Stage IVC head and neck cancer: analysis of the National Cancer Database. Cancer Med.2015, Dec;4(12):1828-35. Uzhachenko, R., A. Shanker, G. Yarbroughand A.V. Ivanova. Mitochondria, calcium, and tumor suppressor Fus1: At the crossroad of cancer, inflammation and autoimmunity, Oncotarget,2015,6(25):20754-72. Baldassarri, R., R. Aronberg, A.W. Levi, G. Yarbrough,D. Kowalski, and D. Chhieng. Detection and genotype of high-risk human papillomavirus in fine-needle aspirates of patients with metastatic squamous cell carcinoma is helpful in determining tumor origin. American Journal of Clinical Pathology2015, 143(5):694-700. Comprehensive Genome Atlas Network.Comprehensive genomic characterization of head and neck squamous cell carcinomas. Nature2015, 517(7536):576-82. Yazlovitskaya E.M., Voziyan P.A., Manavalan T., Yarbrough W.G. and Ivanova A.V.Cellular oxidative stress response mediates radiosensitivity in Fus1-deficient mice. Cell Death and Disease 2015, 6:e1652. Farmer R.W., L. McCall, F. J. Civantos, J.N. Myers, G.Yarbrough,B. Murphy, M. O’Leary, R. Zitsch, and B.A. Siegel. Lymphatic Drainage Patterns in Oral Squamous Cell Carcinoma: Findings of the ACOSOG Z0360 (Alliance) Study. Otolaryngology–Head and Neck Surgery2015, 152(4):673-7. Aronberg, R.M., S.R. Punekar, S.I. Adam, B.J. Judson, S. Mehra, and G. Yarbrough*.Esophageal perforation caused by edible foreign bodies: a systematic review of the literature. Laryngoscope 2015, 125(2):371-8. Parfenov, M., C.S. Pedamallu, N. Gehlenborg, S.S. Freeman, L. Danilova, C.A. Bristow CA, S. Lee, A.G. Hadjipanayis, E.V. Ivanova, M.D. Wilkerson, A. Protopopov, L. Yang, S. Seth, X. Song, J. Tang, X. Ren, J. Zhang, A. Pantazi, N. Santoso, A.W.Xu, H. Mahadeshwar, D.A.Wheeler, R.I. Haddad, J. Jung, A.I. Ojesina, N. Issaeva,G. Yarbrough, D.N. Hayes, J.R. Grandis, A.K. El-Naggar, M. Meyerson, P.J. Park, L. Chin, J.G. Seidman, P.S. Hammerman, and R. Kucherlapati. Cancer Genome Atlas Network. Characterization of HPV and host genome interactions in primary head and neck cancers. Proceedings of the National Academy of Sciences 2014, 111(43):15544-9. Kuo, P., M.M. Chen, R.H. Decker, G. Yarbrough,and B.L. Judson. Hypopharyngeal cancer incidence, treatment, and survival: temporal trends in the United States. Laryngoscope 2014, 124(9):2064-9. Moser, R., C. Xu, M. Kao, J. Annis, L.A. Lerma, C.M. Schaupp, K.E. Gurley, I.S. Jang, A. Biktasova, G. Yarbrough, A.A. Margolin, C. Grandori, C.J. Kemp, and E. Méndez. Functional kinomics identifies candidate therapeutic targets in head and neck cancer. Clinical Cancer Research. 2014, 20(16):4274-88. Chen, M.M., S.A. Roman, G. Yarbrough, B.A. Burtness, J.A. Sosa, B.J. Judson. Trends and variations in the use of adjuvant therapy for patients with head and neck cancer. Cancer2014, 120(21):3353-60. Thompson, P.D., A. Sakwe, R. Koumangoye, G. Yarbrough,J. Ochieng, and D.R. Marshall DR. Alpha-2 Heremans Schmid. Glycoprotein (AHSG) modulates signaling pathways in head and neck squamous cell carcinoma cell line SQ20B. Experimental Cell Research 2014, 321(2):123-32. Uzhachenko, R., S.V. Ivanov, G. Yarbrough,A. Shanker, R. Medzhitov, and A.V. Ivanova. Fus1/Tusc2 is a novel regulator of mitochondrial calcium handling, Ca2+-coupled mitochondrial processes, and Ca2+-dependent NFAT and NF-κB pathways in CD4+ T cells. Antioxidants and Redox Signaling 2014, 20(10):1533-47. Sewell, A., B. Brown, A. Biktasova, G.B. Mills, Y. Lu, D.R. Tyson, N. Issaeva, and G.Yarbrough*. Reverse Phase Protein Array Profiling of Oropharyngeal cancer and significance of PIK3CA mutations in HPV-associated head and neck cancer. Clinical Cancer Research2014, 20(9):2300-11. Luryi, A.L., G.Yarbrough, L.M. Niccolai, S. Roser, S.G. Reed, C.A. Nathan, M.G. Moore, T. Day, and B.L. Judson. Public Awareness of Head and Neck Cancers: A Cross-Sectional Survey, Journal of the American Medical Association Otolaryngology-Head & Neck Surgery 2014, 140(7):639-46. Yarbrough, W.G. *, Sewell, E. Tickle, E. Rhinehardt, R. Harkleroad, M. Bennett, D. Johnson, L. Wen, M. Pfeiffer, M. Benegas, and J. Morath. A Tool to determine financial impact of adverse events in healthcare: Healthcare Quality Calculator.Journal of Patient Safety2014, 10(4):202-10. Ivanov, S.V., A. Panaccione, D. Nonaka, M.L. Prasad, K.L. Boyd, B. Brown, Y. Guo, A. Sewell, and G.Yarbrough*. Diagnostic SOX10 gene signatures in salivary adenoid cystic and breast basal-like carcinomas. British Journal of Cancer2013, 109(2):444-51. Godoy, J.M., A. Sewell, B. Johnston, B.T. Brown, X. Lu, R.J. Sinard, S. Rohde, K. Mannion, J.L. Netterville, and G. Yarbrough*.Viable biobanking of primary head and neck squamous cell carcinoma.Laryngoscope2013, 123(3):641-5. Athavale, S.M., S. Rangarajan, L. Dharamsi, S. Wentz, S. Phillips, T. McRackan, and G. Yarbrough*.AlloDerm and DermaMatrix implants for parotidectomy reconstruction: a histologic study in the rat model. Head & Neck2013, 35(2):242-9. Slebos, R., N. Jehmlich, B. Brown, Z. Yin, C. Chung, G.Yarbrough, and D. Liebler. Proteomic Analysis of Oropharyngeal Carcinomas Reveals Novel HPV-Associated Biological Pathways. International Journal of Cancer2013, 132(3):568-79. Ivanov, S.V., A. Panaccione, A. Brown, Y. Guo, C.A. Moskaluk, M.J. Wick, J.L. Brown, A.V. Ivanova, N. Issaeva, A.K. El-Naggar, and G.Yarbrough*.TRKC Signaling is Activated in Adenoid Cystic Carcinoma and Requires NT-3 to Stimulate Invasive Behavior. Oncogene2013, 32(32):3698-710. Bennett, M., J.M. Morath, G. Yarbrough, R. Sinard, J. Netterville, and R.D. Eavey. The Mortality Observed-to-Expected Ratio in Otolaryngology. Otolaryngology Head and Neck Surgery2013, 148(1):59-63. Lu, X., H An., R. Jin, M. Zou, Y. Guo, P.F. Su, D. Liu, Y. Shyr, and G.Yarbrough*. PPM1A is a RelA phosphatase with tumor suppressor-like activity. Oncogene 2013, 33(22):2918-27. Husain, H., A. Psyrri, A. Markovic, T. Rampias, E. Pectasides, H. Wang, R. Slebos, G.Yarbrough, B. Burtness, and C.H. Chung. Nuclear epidermal growth factor receptor and p16 expression in head and neck squamous cell carcinoma. Laryngoscope2012, 22(12):2762-8. Hoshino, D., J. Jourquin, S.W. Emmons, T. Miller, M. Goldgof, K. Costello, D.R. Tyson, B. Brown, Y. Lu, N.K. Prasad, B. Zhang, G.B. Mills, G.Yarbrough, V. Quaranta, M. Seiki, and A.M. Weaver. Network analysis of the focal adhesion to invadopodia transition identifies a PI3K-PKCα invasive signaling axis. Science Signaling2012, 5(241):ra66. Vlacich, G., R. Diaz, S.W. Thorpe, B.A. Murphy, W. Kirby, R.J. Sinard, B. Shakhtour, Y. Shyr, P. Murphy, J.L. Netterville, G.Yarbrough, A.J. Cmelak. Intensity-modulated radiation therapy with concurrent Carboplatin and Paclitaxel for locally advanced head and neck cancer: toxicities and efficacy. Oncologist2012, 17(5):673-81. Gubanova, E., B. Brown, S.V. Ivanov, T. Helleday, G.B. Mills, G.Yarbrough, N. Issaeva. Downregulation of SMG-1 in HPV-Positive Head and Neck Squamous Cell Carcinoma Due to Promoter Hypermethylation Correlates with Improved Survival. Clinical Cancer Research2012, 18(5):1257-1267. Gilbert, J., B. Murphy, M.S. Dietrich, E. Henry, R. Jordan, A. Counsell, P. Wirth, G.Yarbrough, R.J. Slebos, and C.H. Chung. Phase 2 trial of oxaliplatin and pemetrexed as an induction regimen in locally advanced head and neck cancer. Cancer2012, 118(4):1007-13. Athavale, S.M., S. Phillips, B. Mangus, J. Datta, R.J. Sinard, J.L. Netterville, B.B. Burkey, and G. Yarbrough*. Complications of alloderm and dermamatrix for parotidectomy reconstruction. Head & Neck2012, 34(1):88-93. Zimmerman, L.J., M. Li, G.Yarbrough, R.Slebos, and D.C. Liebler. Global stability of plasma proteomes for mass spectrometry-based analyses. Molecular & Cellular Proteomics2012, 1(6):M111. Liu, D., W.D. Wang, D.B. Melville, Y.I. Cha, Z. Yin, N. Issaeva, E.W. Knapik, and G.Yarbrough.Tumor suppressor Lzap regulates cell cycle progression, doming and zebrafish epiboly. Developmental Dynamics2011, 240(6):1613-25. An, H., X. Lu, D. Liu, and G.Yarbrough*.LZAP inhibits p38 MAPK (p38) phosphorylation and activity by facilitating p38 association with the wild-type p53 induced phosphatase 1 (WIP1). PLoS One2011, 6(1):e16427. Hatakeyama, H., H. Cheng, P. Wirth, A. Counsell, S.R. Marcrom, C.B. Wood, P.R. Pohlmann, J. Gilbert, B. Murphy, G. Yarbrough, D.L. Wheeler, P.M. Harari, Y. Guo, Y. Shyr, R.J. Slebos, and C.H. Chung. Regulation of heparin-binding EGF-like growth factor by miR-212 and acquired cetuximab-resistance in head and neck squamous cell carcinoma. Public Library of Science One2010, 5(9):e12702. Li, M., W. Gray, H. Zhang, C.H. Chung, D. Billheimer, G. Yarbrough, D.C. Liebler, Y. Shyr, and R.J. Slebos. Comparative shotgun proteomics using spectral count data and quasi-likelihood modeling. Journal of Proteome Research2010, 9(8):4295-305. Diaz, R., J.J. Jaboin, M. Morales-Paliza, E. Koehler, J.G. Phillips, S. Stinson, J. Gilbert, C.H. Chung, B.A. Murphy, G.Yarbrough, P.B. Murphy, Y. Shyr, and A.J. Cmelak. Hypothyroidism as a Consequence of Intensity-Modulated Radiotherapy with Concurrent Taxane-Based Chemotherapy for Locally Advanced Head-and-Neck Cancer. International Journal of Radiation Oncology Biology Physics 2010, 77(2):468-76. Hartert, T.V., K. Carroll, T. Gebretsadik, G. Yarbrough,K. Woodward, and P. Minton. Vanderbilt Center for Asthma and Environmental Health Research Investigators and Collaborators. The Tennessee Children’s Respiratory Initiative: Objectives, design and recruitment results of a prospective cohort study investigating infant viral respiratory illness and the development of asthma and allergic diseases. Respirology2010, 15:691-699. Chung, C.H., J. Aulino, N.J. Muldowney, H. Hatakeyama, J. Baumann, B. Burkey, J. Netterville, R. Sinard, G.Yarbrough, A.J. Cmelak, R.J. Slebos, Y. Shyr, J. Parker, J. Gilbert, and B.A. Murphy. Nuclear factor-kappa B pathway and response in a phase II trial of bortezomib and docetaxel in patients with recurrent and/or metastatic head and neck squamous cell carcinoma. Annals of Oncology 2010 21(4):864-70. Civantos, F.J., R.P. Zitsch, D.E. Schuller, A. Agrawal, R.B. Smith, R. Nason, G. Petruzelli, C.G. Gourin, R.J. Wong, R.L. Ferris, A. El Naggar, J.A. Ridge, and R.C. Paniello, K. Owzar, L. McCall, D.B. Chepeha, G. Yarbrough, and J.N. Myers. Sentinel lymph node biopsy accurately stages the regional lymph nodes for T1-T2 oral squamous cell carcinomas: results of a prospective multi-institutional trial. Journal of Clinical Oncology2010, 28(8):1395-400. Murphy, B.A., M.S. Dietrich, N. Wells, K. Dwyer, S.H. Ridner, H.J. Silver, J. Gilbert, C.H. Chung, A. Cmelak, B. Burkey, G.Yarbrough, R. Sinard, and J. Netterville. Reliability and Validity of the Vanderbilt Head and Neck Symptom Survey: A Tool to Assess Symptom Burden in Patients Treated with Chemoradiation. Head & Neck2010, 32(1): 26-37. Law, J.H., A.S. Whigham, P.S. Wirth, D. Liu, M.Q. Pham, S. Vadivelu, K.C. Kirkbride, B.T. Brown, B.B. Burkey, R.J. Sinard, J.L. Netterville, and G.Yarbrough*. Human-in-mouse modeling of primary head and neck squamous cell carcinoma. Laryngoscope 2009, 119(12):2315-23. Yang, E.S., B.M. Murphy, C.H. Chung, J.L. Netterville, B.B. Burkey, J. Gilbert, W.G. Yarbrough, R. Sinard, and A.J. Cmelak. Evolution of clinical trials in head and neck cancer. Critical Reviews in Oncology/Hematology2009, 71(1):29-42. Baumann, J.L., S. Cohen, A.N. Evjen, J.H. Law, S. Vadivelu, A. Attia, J.S. Schindler, C.H. Chung, P.S. Wirth, C.J. Meijer, P.J. Snijders, G. Yarbrough, and R.J. Slebos. Human papillomavirus in early laryngeal carcinoma.Laryngoscope2009, 119(8):1531-1537. Clark, E.S., B. Brown, A.S. Whigham, A. Kochiashvili, G. Yarbrough, and A. Weaver. Aggressiveness of HNSCC tumors depends on expression levels of cortactin, a gene in the 11q13 amplicon. Oncogene2009, 28(3):431-44, 2009. Mukherjee, K., M.P. Cash, B.B. Burkey, G. Yarbrough, J.L. Netterville, and W.V. Melvin. Antegrade and retrograde endoscopy for treatment of esophageal stricture. The American Journal of Surgery2008, 74(8):686-7. Gilbert, J., A. Cmelak, Y. Shyr, J. Netterville, B.B. Burkey, R.J. Sinard, G.Yarbrough, C.H. Chung, J.M. Aulino, B.A. Murphy. Phase II trial of irinotecan plus cisplatin in patients with recurrent or metastatic squamous carcinoma of the head and neck. Cancer 2008, 113(1):186-92. Slebos, R.J.C., M. Li, S. Vadivelu, B.B. Burkey, J.L. Netterville, R. Sinard, J. Gilbert, B. Murphy, C.H. Chung, and G. Yarbrough*.Microsatellite mutations in buccal cells are associated with aging and head and neck carcinoma. British Journal of Cancer2008, 98(3):619-26. Yarbrough, W.G., A. Whigham, B. Brown, M. Roach, and R. Slebos. Phosphoinositide kinase-3 status is associated with the presence or absence of human papilloma virus in head and neck squamous cell carcinomas.International Journal of Radiation Oncology – Biology Physics 2007, 69(2 Suppl):S98-101. Wang, J., H. An, M.W. Mayo, A.S. Baldwin, and G. Yarbrough*.LZAP, a putative tumor suppressor selectively inhibits NF-kB. Cancer Cell2007, 12(3):239-51. Clark, E.S., A.S. Whigham, G.Yarbrough, and A.M. Weaver. Cortactin is an essential regulator of matrix metalloproteinase secretion and extracellular matrix degradation in invadopodia. Cancer Research2007, 67(9):4227-35. Slebos, R.J.C., M. Li, A.N. Evjen, J. Coffa, Y. Shyr, and G. Yarbrough*.Mutagenic effect of cadmium on tetranucleotide repeats in human cells. Mutation Research2006, 602(1-2):92-9. Chung, C.H., K. Ely, L. McGavran, M. Varella-Garcia, J. Parker, N. Parker, C. Jarrett, J. Carter, B.A. Murphy, J.N. Netterville, B.B. Burkey, R. Sinard, A. Cmelak, S. Levy, G.Yarbrough, R.J. Slebos, and F.R. Hirsch. Increased epidermal growth factor receptor gene copy number is associated with poor prognosis in head and neck squamous cell carcinomas. Journal of Clinical Oncology2006, 24(25): 4170-4176. Chung, C.H., J.S. Parker, K. Ely, J. Carter, Y. Yi, B.A. Murphy, K.K. Ang, A. El-Naggar, A.M. Zanation, A.J. Cmelak, S. Levy, R.J. Slebos, and G. Yarbrough*. Gene expression profiles identify epithelial-to mesenchymal transition and activation of nuclear factor-kB signaling as characteristics of a high-risk head and neck squamous cell carcinoma. Cancer Research2006, 66(16): 8210-8218. Stacy, D.R., K. Ely, P.P. Massion, G.Yarbrough, D.E. Hallahan, K.R. Sekhar, M.L. Freeman. Increased expression of nuclear factor E2 p45-related factor 2 (NRF2) in head and neck squamous cell carcinomas. Head and Neck2006, 28: 813-818. Whigham, A.S., J.L. Netterville, B.B. Burkey, R.J. Sinard, C.H. Chung, R.J.C. Slebos, and G. Yarbrough*.Short-term culture and in vivo modeling of primary head and neck squamous cell carcinoma. Archives of Otolaryngology – Head and Neck Surgery2006, 132(8): 901-02. Yarbrough, W.G., R.J.C. Slebos, and D. Liebler. Proteomics: Clinical applications for head and neck squamous cell carcinoma. Head and Neck2006, 28(6): 549-558. Chung, C.H. S. Levy, and G. Yarbrough*.Clinical application of genomics in head and neck cancer. Head and Neck2006, 28(4): 360-368. Slebos, R.J.C., Y. Yi, K. Ely, J. Carter, A. Evjen, X. Zhang, Y. Shyr, B.M. Murphy, A.J. Cmelak, B.B. Burkey, J.L. Netterville, S. Levy, G. Yarbrough, and C.H. Chung. Gene expression differences associated with HPV status in head and neck squamous cell carcinoma. Clinical Cancer Research2006, 12:701-709. Wang, J., X. He, Y. Luo, and G.Yarbrough*.A novel ARF-binding protein (LZAP) alters ARF regulation of HDM2. Biochemical Journal2006, 393(2):489-501. Brinson, G.M., B.A. Senior, and G.Yarbrough*.Endoscopic management of retained airgun projectiles in the paranasal sinuses. Otolaryngology-Head and Neck Surgery2004, 130(1):25-30. Becker, M.T., C.G. Shores, K.K. Yu, and G. Yarbrough*. Molecular assay to detect metastatic head and neck squamous cell carcinoma. Archives of Otolaryngology – Head and NeckSurgery 2004, 130(1):21-7. Zanation, A.M., X. Yin, C. Shores, and G. Yarbrough*.Phenotypic and microarray gene expression analysis of tri-dimensional raft modeled human head and neck squamous cell carcinoma. Otolaryngology-Head and Neck Surgery2004, 131(5):577-84. Shores, C.G., X. Yin, W. Funkhouser, and G.Yarbrough*. Clinical evaluation of a new molecular method for detection of micrometastases in head and neck squamous cell carcinoma. Archives of Otolaryngology Head and Neck Surgery2004, 130:937-942. Chung, C.H., J.S. Parker, G. Karaca, J. Wu, W.K. Funkhouser, D. Moore, D. Butterfoss, D. Xiang, A. Zanation, X. Yin, W.W. Shockley, M.C. Weissler, L.G. Dressler, C.G. Shores, G.Yarbrough, and C.M. Perou. Molecular classification of head and neck squamous cell carcinomas using patterns of gene expression. Cancer Cell2004, 5(5):489-500. Yarbrough, W.G., Bessho, A. Zanation, J.E. Bisi, and Y. Xiong. Human Tumor Suppressor ARF Impedes S-phase Progression Independent of p53. Cancer Research 2002, 62(4):1171-7. Yu, K.K., A.M. Zanation, J.R. Moss and G. Yarbrough*. Familial head and neck cancer: Molecular analysis of a new clinical entity. Laryngoscope2002, 112(9):1587-93. Yarbrough, W.G*. The ARF-p16 gene locus in carcinogenesis and therapy of head and neck squamous cell carcinoma. Laryngoscope2002, 112(12):2114-28. Mauser, A., E. Holley-Guthrie, A. Zanation, G.Yarbrough, W. Kaufmann, A. Klingelhutz, W.T. Seaman, and S. Kenney. The Epstein-Barr virus immediate-early protein BZLF1 induces expression of E2F-1 and other proteins involved in cell cycle progression in primary keratinocytes and gastric carcinoma cells. Journal of Virology2002, 76:12543-12552. Ferguson, M., T.L. Smith, A.M. Zanation and G. Yarbrough*.Radiofrequency tissue volume reduction: multilesion vs single-lesion treatments for snoring. Archives of Otolaryngology-Head & Neck Surgery2001, 127(9):1113-8. Poole, M.E., S.L. Sailer, J.G. Rosenman, J.E. Tepper, M.C. Weissler, W.W. Shockley, G. Yarbrough, H.C. Pillsbury III, M.J. Schell, and S.A. Bernard. Chemoradiation for Locally Advanced Squamous Cel Carcinoma of the Head and Neck for Organ Preservation and Palliation. Archives of Otolaryngology-Head & Neck Surgery2001, 127(12):1446-50. Tschan, M.P., S. Vonlanthen, J.F. Cajot, U.R. Peters, E. Oppliger, D.C. Betticher, G. Yarbrough,M.F. Fey, and A. Tobler. Different p16INK4a and p14ARF expression patterns in acute myeloid leukaemia and normal blood leukocytes. Leukemia and Lymphoma 2001, 42(5):1077-87. Labadie, R.F., G.Yarbrough, M.C. Weissler, H.C. Pillsbury, and S.K. Mukherji. Nodal volume reduction in head and neck squamous cell carcinoma after concurrent chemo- and radiotherapy: Correlation between CT and histopathologic findings. American Journal of Neuroradiology2000, 21(2):310-4. Itoshima, T., T. Fujiwara, T. Waku, J. Shao, M. Kataoka, G. Yarbrough, T.J. Liu, J.A. Roth, N. Tanaka, and M. Kodama. Induction of apoptosis in human esophageal cancer cells by sequential transfer of the wild-type p53 and E2F1 genes: Involvement of p53 ccumulation via ARF-mediated MDM2 down-regulation. Clinical Cancer Research2000, 6(7):2851-9. National Institute of Dental and Craniofacial Research-R01DE013173:ARF as a therapeutic agent in oral malignancies. Triological Society -Triological Society Research Training Award: p16α and p16β expression in head and neck squamous cell carcinoma: Effects on proliferation and apoptosis. 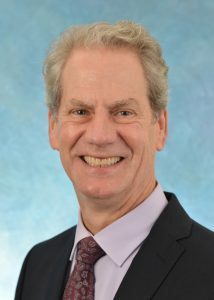 Lineberger Comprehensive Cancer Center – UNC Lineberger Comprehensive Cancer Center Clinical/Translational Research Award: Role of p16b in tumorigenesis. NIH/NCI -Lineberger Comprehensive Cancer Center – Supplemental Grant: Genetic predisposition to head and neck squamous cell carcinomas-Role of p16. Yale University Investigator Initiated Trial – 1404013771: Window study to assess the activity of demethylation therapy in patients with HPV positive compared with HPV negative HNSCC.